Glad to hear your family found a good viewing spot near Detroit Lakes. I camped out on my tree farm Sunday night with two couples (my wife declined on this adventure). Monday morning we hiked 2.5 miles off the tree farm on a county gravel road for a better territorial view across the valley towards the coast range. Only one other four person party happened to join us at this location. I wore a light sweatshirt during the hike (too warm), but it felt just about right as the moon blocked the sun and temperature dipped. The elevation about 1800 feet. The only downer was the traffic once we got back to Silverton and the usual 20 minute drive north on Hwy 213 took over 2 hours. Ugh! There must have been large gatherings of folks in Santiam canyon or at Oregon Gardens? I saw several California and Washington license plates! tee hee! 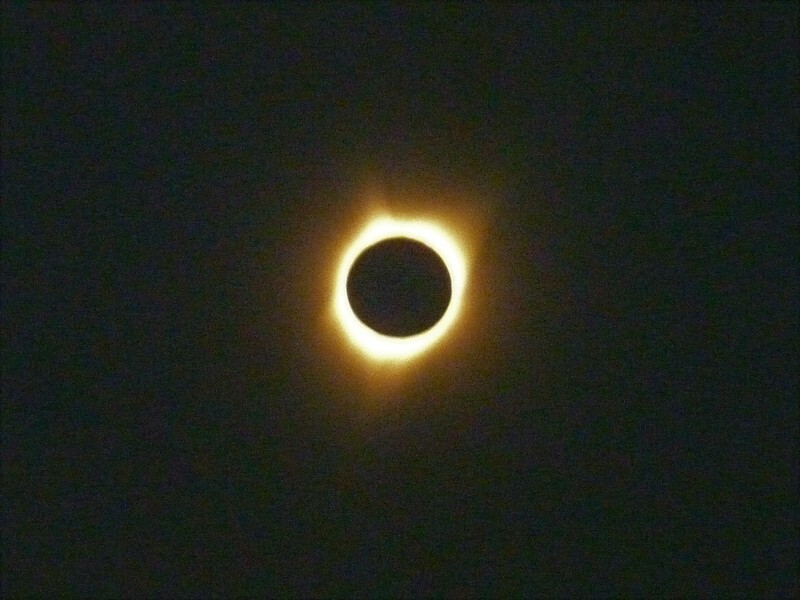 ....still a very cool eclipse photo! !